It looks as if the recent bout of dryness has run its course. 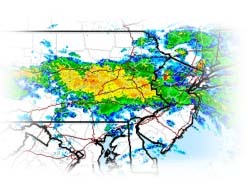 The rain is here and it feels like late June '06 all over again. Right now, as of writing, the upper Lehigh - above FEW is in the low 60s. The dam is pumping 69F water, and Easton on the Lehigh is registering 69F water as well. Flows are increasing and temps are coming down. Good bet the Isos were hatching today is good numbers. 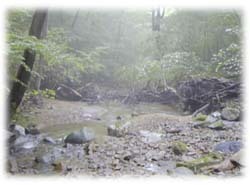 Valley Creek spiked with the early morning rains. A quick drive-by showed very dirty water. It is a shame how fast VC goes off color. Lesser sediment influenced waters faired better. The increased flow stimulated the trout just enough to get them interested in fly. 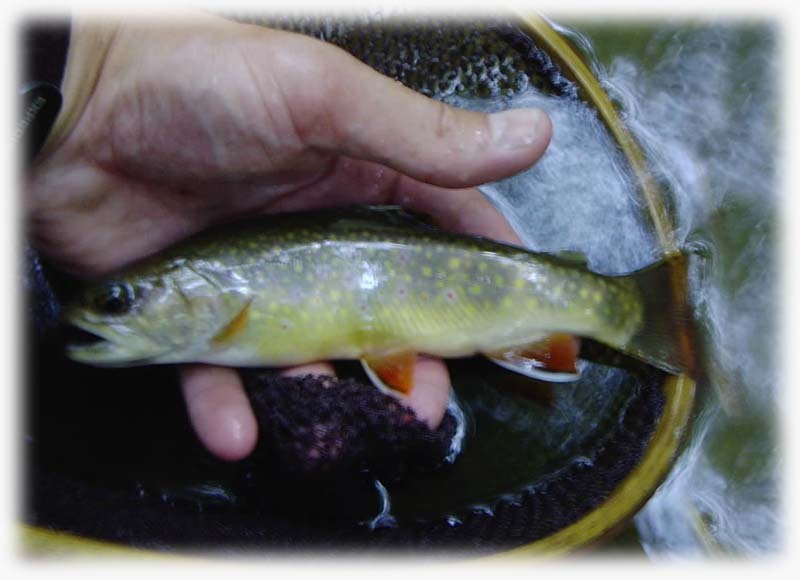 Check out some the pics from a Berks County brookie water. but Mother Nature needs to come thru. Nonetheless it should be interesting to see what the near-term future brings, especially with all the very warm Atlantic water immediately along the coast, and the hyped up hurricane season. For some reason, the pattern of getting multiple-months worth of rain over a week time frame, might be in the offing again. Click on the map above to see just where we stand month-to-date. 66F water at 7pm in VFNHP and the fish were popping here and there. In a little more than an hour a handful of fish thought the little dubbed ant was the real deal. Although Valley is not much of a summer destination for us, it can provide some decent action. 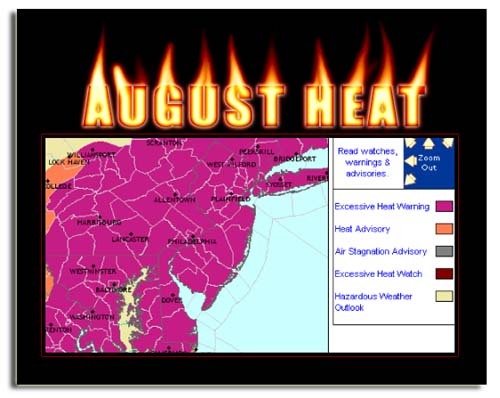 Only when the temps are conducive will FFPA check it out. This time of year one of the more consistent forage is the land born creature - primarily your terrestrials. A simple black ant size 16-18 works just fine. Try it! Legal size trout. Thank you c&r. The summer sulphurs have started to hatch on the Lehigh. Look for this hatch to occur in the lo-light hours - pretty close to dark. Cloudy day might bring them off the water a bit earlier. Also be on the lookout for Isos. In the past we have had fantastic hatches of Isonychia's in late-August. If we can only get some overcast, cool and damp days - look out - the Isos can hatch all day long. Trout Candy! Looks as if we are over the hump heat wise. We are back on the river, so look for more current Lehigh updates. For you white fly (ephoron leukon) chasers - the hanna is the place to be right now. Not to mention the Breeches. Word is the bugs have been coming off in decent numbers, and the fish are looking up. Flows are perfect right now for the wade angler on the Susquehanna - currently sitting at below the magic 4' level. Make sure you are all set and in the honey hole at dark - because that is when it can let loose. White wulffs in a size #10-12 work great. Spent spinners - like a coffin fly are also worth having. Guys have luck fishing sneaky petes and poppers during the hatch as well. Go white of course. Not much doing with the land-based - S. Jersey - fly-rod salt action...well at least where we tried. With 6-7' astronomical high tides, you'd think the fish would be on the feed and move thru the inlets and cuts. Not so. Even with bait present nothing was happening and this was at night - prime time. Bring on the fall. 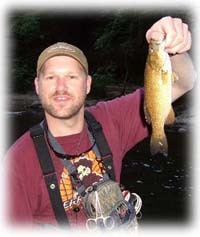 SE PA smallwater smallie. RIP Jerry!!! 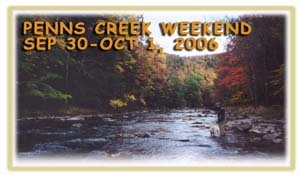 Fall is around the corner and we've have trips for all levels. Check out our Package Trip page for more info. We are doing a trip to Penns and a trip to the NJ salt. 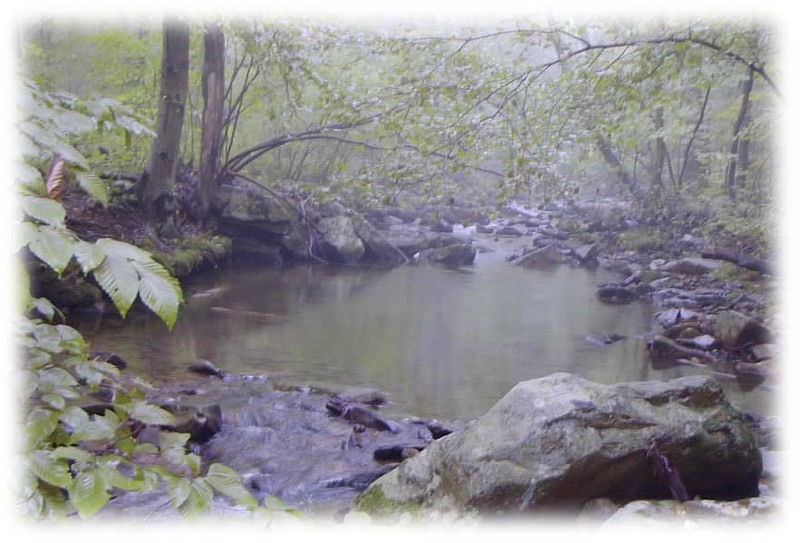 This time of year both of these destinations provide a fantastic angling opportunity. Big wild brown trout or migrating blues and bass. Check it out. Some good news....a new gage has been added to the USGS site - Lordville, NY. Talk about a nice addition. Who knows maybe in the future this gage will be used for temp targets. Quick note and tid-bit/story...if you look at the temps right now at Lordville they are quite high - 75F - give or take. In late August '92 the main stem was running cold and we got into the white fly. Now that was very cool!! We were into the trout bigtime all the way down below Bouchouxville Creek, on the NY side, where the large rock outcrop is. West Branch at the time was in the high 40s. Ahhh....the good 'ole daze! Dog daze are here! We are looking at possibly some Lower D and salt action in the coming weeks. Otherwise fly tying needs to take place for the coming fall season fresh and salt action. What is interesting and thought provoking - with all this heat and more importantly tropical like ocean conditions - you gotta wonder what the chances are of an inshore albie bite this year. It has been many years since albacore have frequented the inshore littoral zone that we focus on - who knows, maybe this will be the year.